The Libec ZC-9PRO Zoom Control is a variable-speed remote zoom that clamps onto a tripod pan handle, stabilizer, or other device and controls both Canon and Fujinon ENG lenses. It includes a REC/RET button, converter switches for REC/RET and Canon/Fujinon, and an 8-pin connector cable. ZC-9PRO Zoom Control is rated 4.6 out of 5 by 19. Rated 4 out of 5 by Payton Peterson from Great little Controller! I currently use the ZC-9Pro with my JVC 700 and it works great. I saw it when I was out in LA at the Digital Video expo and was pretty amazed. It's definably cheeper than Vari-Zoom's controllers, but it works better than most of them. Its really sensitive which is great because I can achieve really smooth and slow zooms that are slower than I can do with the built in zoom controller on the JVC. It can also go pretty fast for the times you shooting a live event and your not live looking for a new shot. Overall, the ZC-9PRO is a great tool for anyone with Canon and Fuji. lenses. From field news, to looking to run a studio type config, this is the controller for you. Rated 5 out of 5 by SteadiManNY from SWEEEEEET!!! I am a Steadicam Operator here in NYC and need a reliable Zoom controller for my video work. Varizoom just wasn't working for me and after going through 3 controllers and bad customer service, i decided to get something, anything, different. Wow did i get it. I like them better because: - They are cheaper - They have a smaller footrpint (but are a little taller) - They do Fuji or Cannon both, selectable by a switch. Varizoom requires a separate adapter cable. Although i did have to buy an 8 to 12 pin converter for the high end Fuji lenses - The clamp has a screw on only one side, like a C-clamp, so you don't need to remove a thumbscrew to clamp it down. This is important to anyone who has ever dropped a thumb screw in a dark studio. This is just great - They have a better strain relief on the cable. Varizoom cable is garbage. - And, most important, they return to center more accurately, so they don't drift when at null. Rated 5 out of 5 by Cinerrific! from Great controller This was a recommendation from a friend and it works great. It was inexpensive and it connects directly to your lens, not through lanc. I would recommend this to anyone needing to control their lens from their tripod. Helps with all kinds of shoots, not just live events. Rated 5 out of 5 by Hired Gun from A must buy I own 12 of these and everyone of them gets used just as hard and as often as my professional Fujinon controls. For the money an exceptional value! Very solid construction, super smooth zoom, light weight, INEXPENSIVE, Canon or Fujinon switchability, works with 8 to 12 pin Fujinon adapter. Only negative is the wire just pushes onto the lens connector (or 12 pin adapter) and does not screw on like a professional control would. On a rare occasion the wire could work it's way out on it's own. Rated 4 out of 5 by David from Good so far Only recently received it, just 3 jobs so far, but has performed as expected. Good value, and as I have both Canon and Fuji lens, the switchable feature is really good.Trust it will serve me well. Rated 4 out of 5 by Tom from worth the price Admittedly, this is the second purchase replacing the one I bought about 2 years ago that suddenly died. That said, I found it versatile working on both Fuji ( with extra adapter) and Cannon. At $ it was worth trying another one. I used it on EX3 ( yes, another adapter) and ENG broadcast cameras. It size makes it easy to pack and carry around in a camera bag. Here's hoping first one was a fluke. Can I use this zoom controller with the Canon 50-1000mm lens? 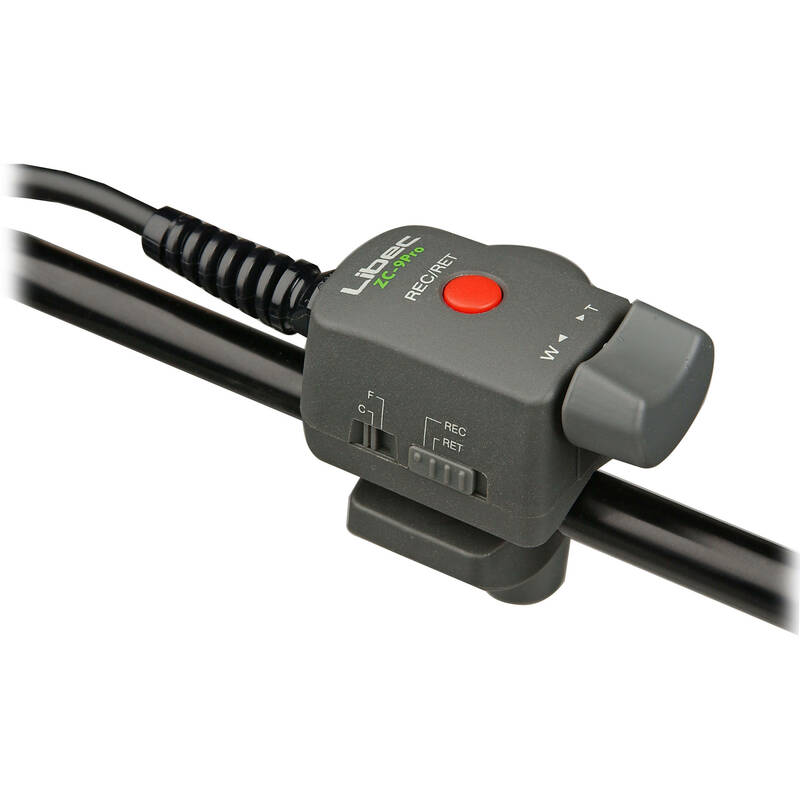 Asked by: Trice staking V.
Yes, you can use the A-12P 12-pin Adapter Cable with the ZC-9PRO Zoom Control. what connector type? cable length ?